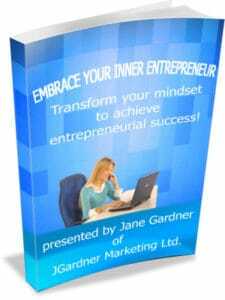 While “Embrace your Inner Entrepreneur (transform your mindset to achieve entrepreneurial success!) book and Workbook arrive by email. You can download the “Do You Want to Change Your Life and Be Your Own Boss” workbook below with videos and audios to look at whether you want to be an Entrepreneur. To your success! Congratulations on investing in your self and getting the BE YOUR OWN BOSS WORKBOOK! You can download the Be Your Own Boss Workbook and Home Based Income Stream Book here. The audio files are a separate file here. Also there is a BONUS Mindmap tutorials here. You can download Freemind (free of course) here and then see how to use mindmaps to help you with your WANTS and DON’T WANTS. They are all zipped file so you will need Winzip or another unzipping software . You can check out Winzip here, there is a free version. If you have any problems downloading, email jgardner@boahb.com and I will help. Also, i will be happy to give you some feedback as you go through the workbook, just email me at jgardner@boahb.com.